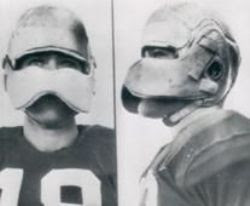 Goldberg wanted to scare people. Every summer, it seems one of the most prominent topics of discussion surrounding SEC Media Days is who said what—what were the best quotes, the worst, the most memorable, etc., and who made them. And not surprisingly, such discussion seems to often involve Steve Spurrier. About a week ago, there was even an article posted regarding the "Best quotes from past SEC Media Days," four of which remarks were made by Spurrier. Curiously, of all the "best" quotes according to the article, not a single one was made by a Georgia coach or player. However, the Bulldogs have actually been well represented in the past at being vocal, if you will, when the conference's media and teams meet annually during the summer. Here's a listing of Georgia's more notable quotes from SEC Media Days in the last 25 years, whether a memorable remark, or one not so much. 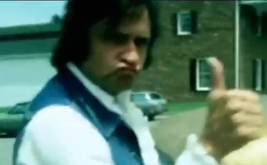 Regardless, Spurrier can eat his heart out. 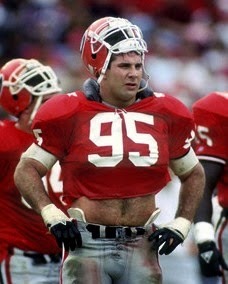 1989- BILL GOLDBERG: Team representative Goldberg, an outspoken senior defensive tackle, was asked by head coach Ray Goff and SID Claude Felton not to say "too much" during his interview in Birmingham, especially considering the Bulldogs returned just four starters from a defensive unit the season before which ranked 7th (out of 10) in the SEC in total defense and dead last in pass defense. In response, Goldberg was nothing but tight lipped. "Our defense is going to be awesome. We're going to be great...I want to scare people with our defense." 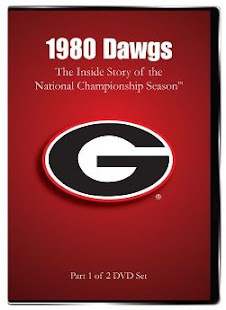 Awesome, great, or scary wouldn't eventually be used to describe Georgia's defense, but perhaps slightly improved as the Bulldogs ranked 6th in total defense and 8th in pass defense for the 1989 season. 1990- RAY GOFF: Considering Georgia had completed 50.4 percent of its passes for 9 touchdowns and 15 interceptions in 1989, the Bulldogs' head coach was asked about his passing game. "We felt like we were able to throw the ball better last year (1989) than in quite some time." Considering Georgia had completed 55.9 percent of its passes for 10 touchdowns and 5 interceptions in 1988, "quite some time" was more like no time at all. 1994- RAY GOFF: After a 5-6 season in 1993, Goff was asked if he felt any pressure about keeping his job. Georgia's head coach not only guaranteed he'd be back for the media day event the following year, but was willing to take any bets from media members doubting his job security. Goff added that he had "...every intention of being back and would be glad to take bets on it with anybody who wanted to make a bet. I wasn't trying to be cocky or anything; I was just stating what I felt." Despite a 6-4-1 campaign, Goff would indeed be back for the 1995 season; however, he wasn't offering any bets during the preseason Media Days, and would be fired following a 6-6 mark that year. 1997- JIM DONNAN: After three of Georgia's top high school prospects—Cosey Coleman, Deon Grant, and Jamal Lewis—signed with Tennessee, Donnan was asked if keeping in-state talent was hampered because of the impending threat of NCAA sanctions. "The sanctions hurt us, but so did Rodney Garner (Tennessee's then-chief recruiter). Whatever they're paying him, they need to pay him more." 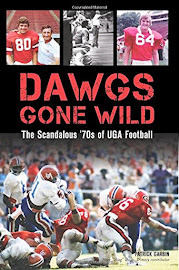 Less than a year later, Georgia would be the one paying Garner, who was lured away from Tennessee to become the Bulldogs' defensive line coach and recruiting coordinator. His stay in Athens would last 15 seasons through 2012. 2000- QUINCY CARTER: The junior quarterback, who was the conference's "most overrated player" according to a poll conducted by the Montgomery Advertiser during SEC Media Days, was asked during the week about the possibility of finally defeating both Tennessee and Florida in the upcoming season. "We can't come in and say we're going to beat Tennessee and Florida. We can say we're going to work hard. We've got to relax." 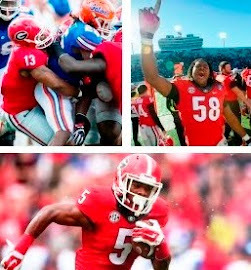 By the end of the season, Carter couldn't say he ever beat Florida, while really showing no signs of working hard all year, but there was plenty of "relaxing" as evident by his five-interception performance at South Carolina. 2002- MARK RICHT: During the week, the Bulldogs' head coach was asked about a proposed rule by the NCAA which would allow all players a fifth year of eligibility. "If they did play five years I don't know what you'd call them. You got freshmen, sophomores, juniors, seniors. What's next, senior citizens?" 2008- MARK RICHT: While commenting about allowing his players to run onto the field in celebration following Georgia's initial touchdown against Florida the year before, Richt also mentioned how he verbally went after a sideline official in a later game. 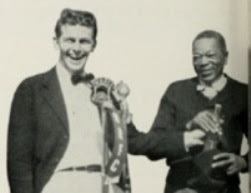 "After a while the [official] came over to me and said, 'I thought you were a class act,' and I said, 'I AM a class act." 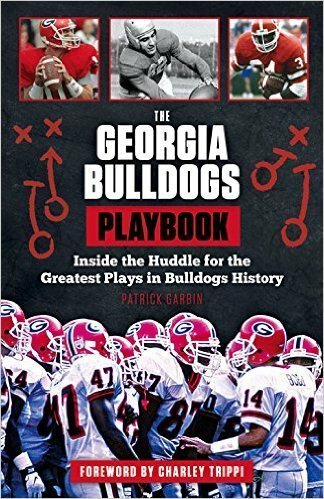 2011- MARK RICHT: The Bulldogs' head coach was asked about then-first-year Florida head coach Will Muschamp, and his ties to Georgia. "He's going to tell everybody he's Florida through and through and all that, but I'm sure there's some red and black in his veins." 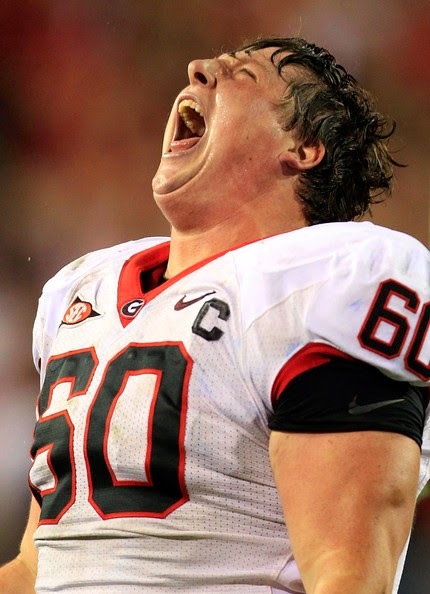 2011- BEN JONES: Georgia's standout senior center was asked about the Gators' recent dominance in the Georgia-Florida rivalry. "I haven't beat them since I've been here, so that's very frustrating. After you win a rivalry game, it's the best feeling. You have the relief. You want to have that feeling." It's a relief Jones and his teammates would finally feel that season in Jacksonville, and a feeling which has eluded the Gators when facing the Bulldogs ever since. Yes, prior to the 2000 season, Donnan said something like "I've been waiting 55 years to be the coach of a team with this much potential," and then he added that he guaranteed Georgia was going to "get it done." It was said not at SEC Media Days, however, but I believe at a Bulldog Club meeting shortly thereafter. Thanks for reading and your comment.